"Transparency as an Offence: Rights Lawyering for Open Government Information in China"
Introduction: Rights lawyering has been developing in China over the past two decades or so. From spontaneous reaction to proactive organization, from litigation to civil society networking, from using law as a shield to using it as a sword and from individual cases to policy change, Chinese rights lawyers through social-legal activism have been a formidable social force in holding the state accountable for its rhetoric. This article examines three ways rights lawyers in China have used transparency as a tool to pursue legal activism and social campaigns: open government information (OGI) applications, on-line mobilization, and off-line action. For rights lawyers, transparency is both an end and a means to address a wide range of social-political issues. The chapter finds that the formal OGI institutions have created new legal opportunities and resources for rights lawyering, which has proved to be resilient in promoting government accountability and restraining the arbitrary exercise of public powers. However, the political vulnerability of legal institutions and their lack of political will and ability to accommodate the demands of civil society have given rise to extra-institutional and extra-legal mobilization in a variety of organized street actions by rights lawyers. The extra-institutional lawyering has provoked retaliation from the state, however, leading to further restrictions on lawyers' right to know and crackdowns on rights lawyering. Operating in an authoritarian system with a compliant judiciary, limited rule of law, and little meaningful political participation, Chinese lawyers have few options with which to seek remedies when their rights and interests and those of their clients are adversely affected. Over the past two decades, Chinese lawyers, mostly rights lawyers, have through activist lawyering exploited all available opportunities within the current legal framework by using the existing legal procedures to promote accountability and restrain the arbitrary exercise of powers. The promulgation of the Regulations on Open Government Information (the 'ROGI') in 2008 provided a new legal opportunity which lawyers together with other civic groups have readily grasped. However, while formal OGI institutions have largely failed to satisfy rights lawyears' demands, the institutionalization of rights lawyers and the coming into maturity of a community of rights lawyering, coupled with the development of information technology and enhanced international support, have enabled rights lawyers to take a proactive and occasionally aggressive approach to exposing abuses and in holding public power accountable to the law. Since the promotion of the ROGI, there has been a shield-to-sword shift in the way in which law is used as an offensive weapon in the hands of right lawyers and activist citizens, with some assertive rights lawyers having moved from online mobilization to off-line action including gathering in courtrooms and protesting on the streets. Online mobilization and direct actions have primarily served the purpose of publicizing abuses, real and perceived, and making the legal process visible for all to see and to judge. It is part of a larger strategy of naming and shaming government offenders. Facing extensive abuse of power in both the political, administrative and the judiciary sectors, transparency has become a weapon for the weak, whose grievances are rarely addressed through institutional channels. This article examines how Chinese lawyers, primarily rights lawyers, have used both institutional and extra-institutional means to demand transparency and government accountability. Here, the authors adopt a broad definitation of rights lawyers, as 'lawyers or quasi-lawyers who consistently use legal rule and institutions, as well as other platforms, to promote a specific social campaign or the rule-of-law development.' This definition includes human rights lawyers (renquan lüshi) who devote their work to politically sensitive causes, public-interest lawyers (gongyi lüshi), and the newly-emerged so-called 'die-hard' lawyers (sike lüshi ), mostly criminal defense lawyers (xingshi bianhu lüshi). The discussion on lawyering for OGI also encompasses ordinary lawyers who have submitted OGI disclosure requests (hereinafter OGI requests). 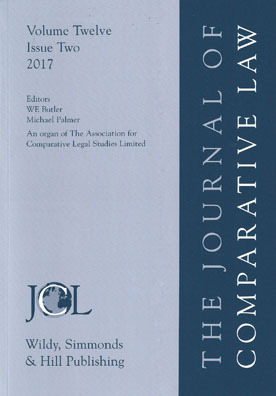 The empirical material on which this article is based, in large part, is drawn from a variety of data and materials, including 105 OGI requests made by lawyers between 2008 and 2015, official records and judicial decisions, comprehensive reviews of media reports and documentaries, monitoring of rights lawyers' social media activities, and open-ended interviews with rights lawyers and activists. The essay examines three ways of transparency-based lawyering: OGI application, online mobilization, and offline activism, and explores also state responses to each method of activism. It concludes that ROGI has resulted in new legal opportunities and resources for rights lawyering, which create certain systematic improvements within the formal legal framework possible. However, facing extensive abuses of power and a fragile legal system, rights lawyers as well as other activist groups have turned to extra-institutional, extra-legal means and used transparency as a sword for a wide range of social agenda. Extra-institutional efforts have been successful primarily in attracting publicity, raising public consciousness, and enhancing the mobilization capacities of rights lawyers and their allies. Like the OGI application, online mobilization has rarely achieved dramatic social-legal changes. At the same time, street action for transparency has incurred greater legal and political risks.